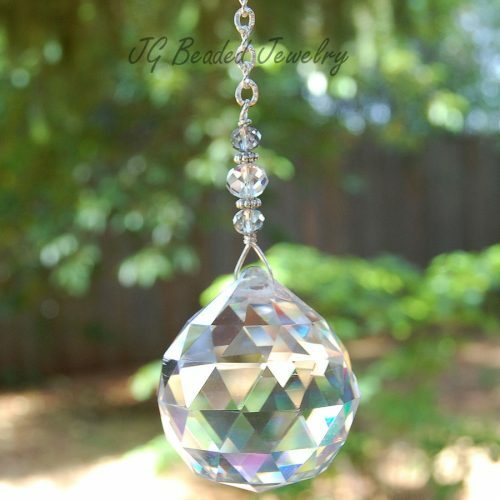 This smoky quartz crystal is designed for the rearview or to hang in a window. 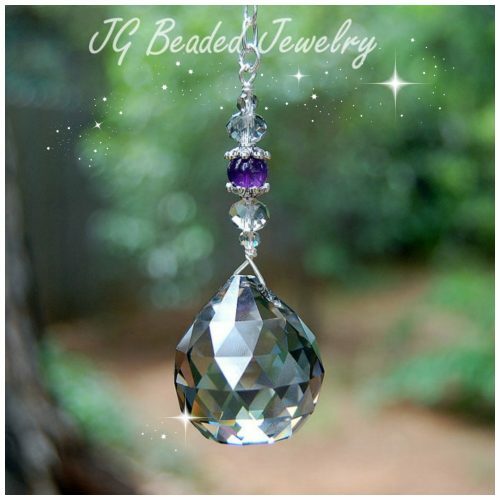 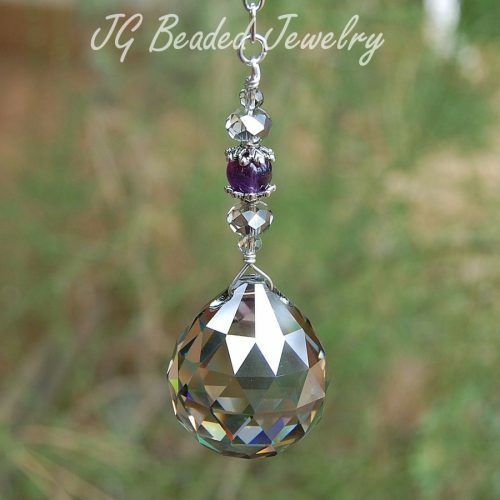 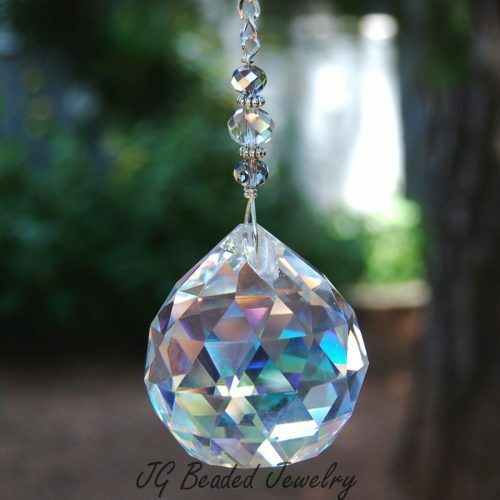 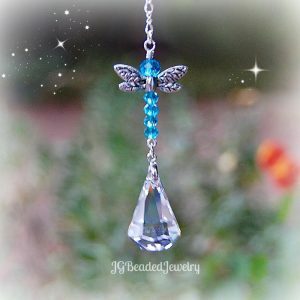 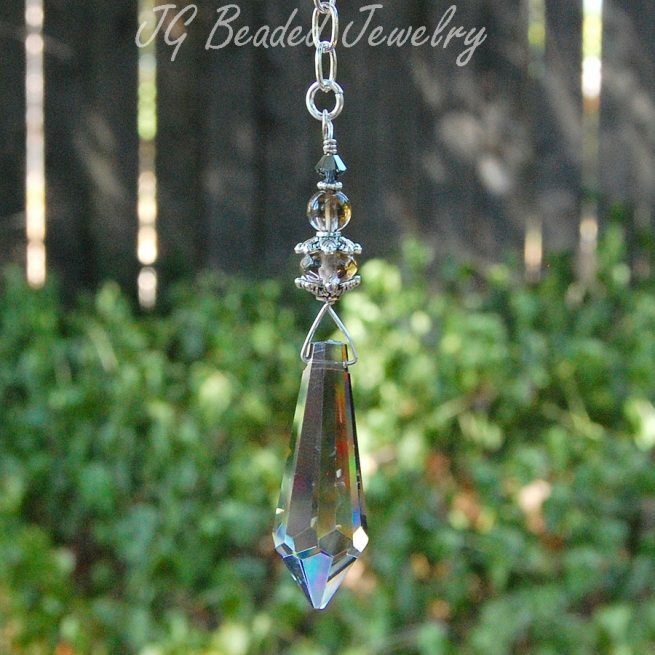 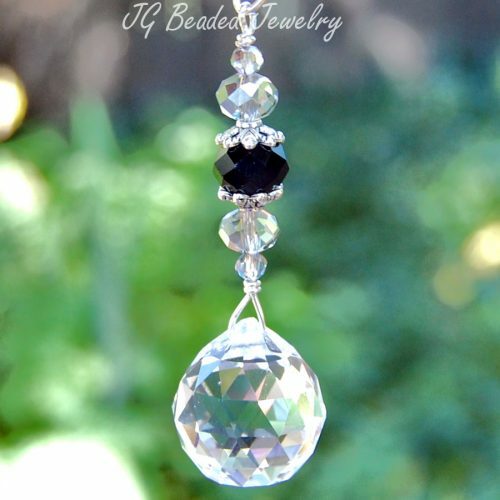 It is made with a 1.5″ pointed smoky satin teardrop crystal from Egypt which is wire wrapped by hand with smoky quartz gemstones, a dark smoky silver Swarovski crystal and fancy silver bead caps. 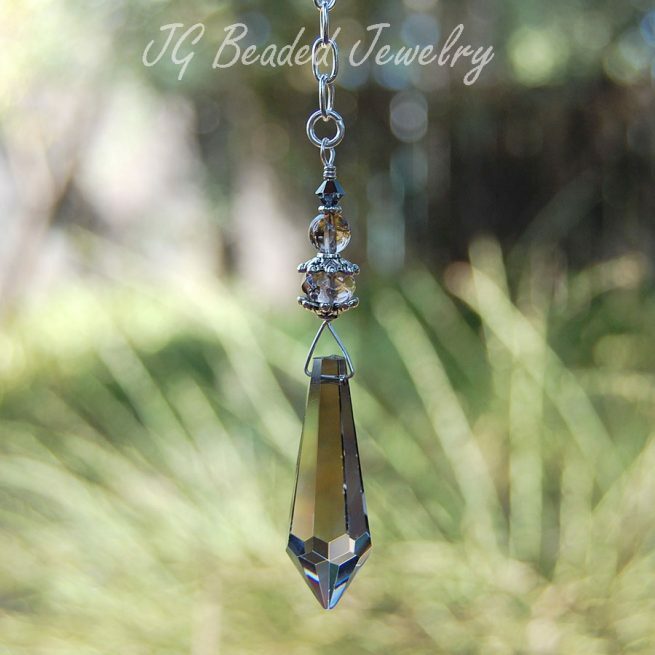 Smoky quartz grounds, centers, and removes negativity.